Cyber attacks are on the rise and aren’t slowing down anytime soon. These attacks don’t just target large companies, they’ve plagued small businesses as well. Since cyber attacks can be crippling, they don’t have to be difficult. Here are some ways your company can prepare for a cyber attack. Don’t miss to check Best 8 Most Bizzare Cyber Attacks in the History aside from Ransomware (Infographic). Don’t use weak passwords that are short and easy to guess. Password cracking tools make it possible for cyber attackers to guess passwords and look for common patterns. Change your password settings so that your employees use a mix of numbers, letters, special characters, and upper and lower cases. Encourage your employees to update their passwords on an ongoing basis to ensure protection. Prevent password sharing from happening in the workplace. Educating your employees about the risks of password sharing can reduce cyber attacks. Never share passwords with your employees and never ask outside sources to temporarily login as contractors, guests, or new hires. Creating temporary passwords can help expedite the process and provide a sense of security. Keeping your company hardware safe is often forgotten about. The data loss or theft of your computers and other devices is something that requires your attention. Create a cyber attack prevention program with encrypted passwords that are saved in a safe location. Keep all computers and devices attached to desks. This can prevent the theft of your company devices and sensitive data. Install the “Find My Device” software on all of your desktop computers, laptops, smartphones, and tablets. This allows the authorities to recover the devices and data as quickly as possible. Your cyber attack prevention program must prevent your sensitive data from ending up in the wrong hands. You can prevent this problem by encrypting all of your data. Data encryption is a quick fix for most data breaches. Encrypt your customer information, employee information, and other sensitive business information. Data encryption is often included on all operating systems. It can encrypt all the data that’s stored on your desktop or laptop computer. Make sure that this software is updated and installed on all of your company devices. Reduce the amount of time your computer is left unlocked by setting your devices to “lock” or “sleep” mode after several minutes of use. Malware protection is a term for various software that can infect all of your computers and devices. This includes adware, malware, spyware, Trojans, ransomware, and worms. While malware can be transmitted over Wi-Fi, it can also be transferred through e-mails and unsafe websites. You can add an extra layer of protection by installing anti-malware to all of your company devices. You should also install antivirus software on your devices. Antivirus performs differently from anti-malware software and can provide protection against certain types of viruses. The two can work together to protect all of your devices. Since cyber attackers work hard to find new ways to breach security, even the most aware businesses are still at risk. The average cost of a data breach in 2017 was $3.6 million, which is equivalent to $1cybersecurityecord. Data breaches can be prevented by investing in cybersecurity insurance. Unfortunately, only 9% of UK businesses and 15% of U.S. businesses have this kind of insurance, according to the Better Business Bureau. 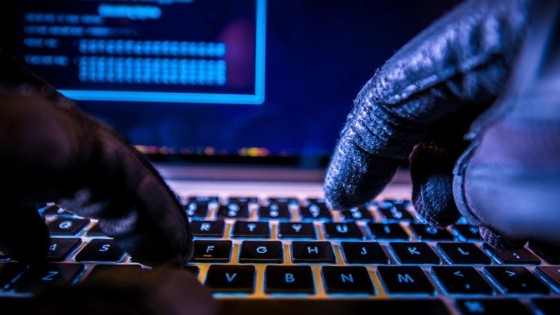 One of the biggest ways to protect your businesses from cyber attacks it to create a strong a security policy and make sure your employees are following it. This policy should protect all aspect of your company, and your employee should be aware of the protocols set in place that they must follow. Over 60% of breaches were an inside job, according to the 2016 Cyber Security Intelligence Index. Over one-fourth of these breaches happened by accident when employees opened a malicious e-mail or clicked an insecure link. Write your security policy with guidelines they must follow. Some examples of enforcing strong guidelines include not allowing personal e-mail or social media on company computers, requiring passwords to follow a certain format, and preventing employees from opening attachments or links in e-mails that are unrelated to the business.